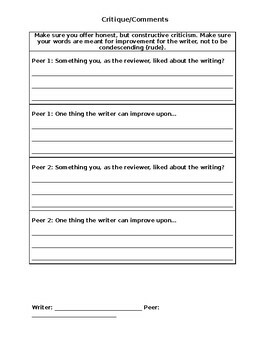 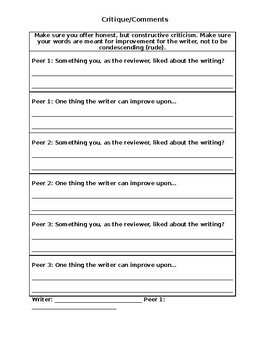 This resource is intended to be used in correlation with peer review of writing. 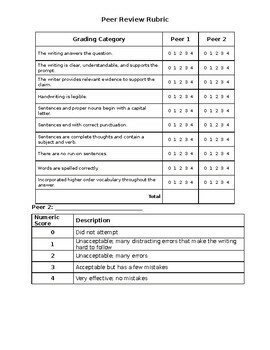 It can be modified to fit your peer review needs. 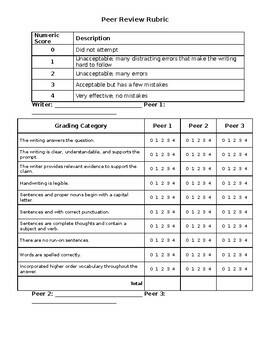 This product is currently formatted for group (3 or 4) or partner assignments.